First day of school pics are everywhere! It’s a new school year and here is a compilation of my favorite quotes that inspire grit. I did my best to reference the authors in as many as I could. I hope they inspire you to be the best Grit Mom you can be to your kids. “Listen to the Mustn’t child, listen to the Don’ts. Listen to the Shouldn’ts, the Impossibles, the Won’ts. Listen to the Never Haves then listen to me. Anything can happen child, Anything can be.” Shel Silverstein. 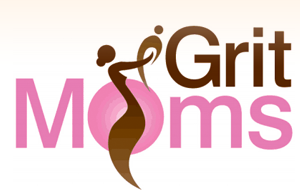 This entry was posted in Blog on August 24, 2014 by gritmoms. “What if my teacher doesn’t like me? Honestly, some of those phrases of mine are written in a bit more of a polite manner than I would like to admit, but you get what I mean. To raise our kids to be gritty, they need to learn to not be afraid to take risks right? I am talking taking healthy risks like trying something new and learning to do positive things independently. This is different from unhealthy risks like texting while driving or engaging in deviant behavior. One of the big things I have learned and continue to practice (while failing along the way of course) is to encourage and model healthy risk taking. I can’t tell my kids to dream big and to expand their horizons but then turn around and stop them from trying anything new. A great article (see below) I just read reminded me of three simple qualities within my children – they are trustworthy, they are responsible and they are capable. Repeat these to yourself as you start another exciting school year and make it a good one! Want Your Kids to Think Big?? Teach Them To Take Risks! A few weeks ago, as my 5 year old rode his bike full speed down the street, I impulsively yelled out “Slow down….you’re going to fall! !” As soon as I said it, I knew I had made a mistake, one which I tried to be so mindful of in the past. Swiftly and without thinking, I was thwarting his ability to take risks in life. It’s unfortunate how obsessed we’ve all become with “security.” I want my kids to have courage, to be bold in their dreams and have adventurous spirits. I need to showcase to them that you can’t play it safe when you really want something. Therefore, I must help my kids be fearless in life….which means allowing them to take risks. One book that opened my eyes to how fearful Western Society has become is ‘The Continuum Concept’ by Jean Liedloff. Jean spent 2 years in the Amazon rain forest with a remote native tribe relatively untouched by the West. Amazingly, she found that very young children, were often left to walk around fast moving rivers, deep well holes and 4 year olds were even allowed to hold machetes. She noticed that the elders in the tribe did not panic when the kids were near these dangers and guess what? The kids did not get hurt. In this tribe, all elders held a belief that the young child was “innately social, cooperative and had a strong self-preservation instinct.” They trusted that the child observed the elders, wanted to remain safe and would follow the behaviors of the group. They never held an expectation the child would fall, cut themselves or drown…and they didn’t. We have evolved to take risks. Endorphins and adrenaline are released when taking risks. Neurobiologists believe that high amounts of endorphins gave humans a survival advantage, so that more people could transmit these genes to succeeding generations. Risk taking is in our genes. One of our goals is to help our kids expand their world. The process of learning, growing and stretching the bounds of who we are—has a built-in positive feedback loop. With each new discovery, each lesson learned, we become larger and more complete than we were before, and we gain confidence that we can continue to grow and learn. The process itself is like a self-esteem escalator, moving higher and faster all the time. Children need to actively explore and discover the world around them and learn to take calculated risks. The more they can do, the better they feel about themselves. These phrases, no doubt backed by fierce love for our young ones, still serve to covertly eat away at their desire to take risks. We pound it into kids that they can’t do something without a disaster ensuing and we inevitably create a reality they live into. Follow that up with a “I told you s0” or “You should have listened” and we have sealed their fate. So, where does that leave us? Should we say nothing when we find our kids speeding on their bike or climbing to high for our comfort? No, but instead of adding the negative outcome you envision, simply make the request you would like followed. Meaning, instead of saying “Climb down…you will fall”, just say “Climb down.” Asking your child why you’ve made this request ,is a great way to generate introspection. This allows kids to become internally directed, which helps them learn to trust themselves and leads to good choices in life. So, now if my son is riding too fast on his bike, I consciously say “Slow down! !” Encouraging experiences minus negative reinforcement, promotes a ‘mindful courage’, which is one of the most valuable skills I can teach him. This entry was posted in Blog on August 10, 2014 by gritmoms. It’s all about summer reading right? I start by defining what grit means so it makes the most sense to my kids. The current definition we collectively came up with is, “Not giving up on something. Sticking with something for a long time until you are super good at it or reached the top.” I am sure their definition language will change over time but for now this makes the most sense. With my younger one, we look for stories that promote grit and perseverance. For my older one, I encourage him to take some time to tell me a little about the characters in in the books he’s reading. I ask him, who are the gritty characters? Why do you think that? These discussions have made summer reading much more interactive for me and my older one especially since he prefers to read on his own nowadays. The term “grit” has really grown to become a part of my kid’s vocabulary. Sometimes we substitute it with, “A don’t give up attitude.” We talk a lot about why grit is important. We talk about how things (no matter what they are) are not always going to be easy to accomplish. Whether it’s organizing your toys in your room, or learning a song on the guitar, certain things take work and it takes a positive attitude. Sharing and talking about the problems you encounter on the road to accomplishing something makes the journey more doable. Still my oldest grows so frustrated with certain tasks sometimes and is resistant to ask for help or express it. In those moments, he so more likely to give up. I work on telling him that he can share his frustrations and problems with me and I am not going to think less of him and I’m not going to take it all away from him and do it for him. Instead we are going to talk through it and it’s up to him to ask for help/support. Fostering grit is a dialogue. It’s not something we do to kids. It’s something we do with kids. Here’s a favorite quote I found recently, “Growth mindset teaches students that the brain is like a muscle and that with regular exercise, intelligence and capability will grow. Students in this group learned not to be discouraged by frustration and early failure, and to stay the course and keep ‘exercising.’” My daughter grew discouraged at one of her swimming lessons because she wasn’t able to finish swimming freestyle properly for a certain number of laps. She had never done that many before. Her instructor was great in that she commended her for doing what she able to do having never done that before. My daughter approached the next lesson and those after that with more of a “growth mindset” as she worked one step closer to each time to completing the ultimate number of laps. She has been positive and leaves each lesson saying she did the best she could and would work even harder next time. Strive to model grit qualities and characteristics for your kids in your everyday life. Show them what hard work looks like and what it looks like to bounce back from a setback. Even how we manage/juggle our day –to-day schedule of work and home takes grit. Our actions; both verbal and nonverbal speak so loudly to our kids. They know exactly what we think about grit through our actions. Be sure to let kids know their hard work leads to something great! Take time to celebrate your kids and their accomplishments. Show them that their setbacks they may have encountered along the way eventually leads to something great! When we celebrate accomplishments in our household, it creates a tremendous amount of hope in my kids for future endeavors. This entry was posted in Blog on July 27, 2014 by gritmoms. The website talks about the 7 C’s: The essential building blocks of resilience. They are competence, confidence, connection, character, contribution, coping and control. For each of the C’s, there are critical questions we need to ask ourselves. Take some time to answer them yourselves and share your “a-has!” with us. Competence is the ability or know-how to handle situations effectively. It’s not a vague feeling or hunch that “I can do this.” Competence is acquired through actual experience. Children can’t become competent without first developing a set of skills that allows them to trust their judgments, make responsible choices, and face difficult situations. • Do I help my child focus on his strengths and build on them? • Do I notice what he does well or do I focus on his mistakes? • When I need to point out a mistake, am I clear and focused or do I communicate that I believe he always messes up? • Do I help him recognize what he has going for himself? • Am I helping him build the educational, social, and stress-reduction skills necessary to make him competent in the real world? • Do I communicate in a way that empowers my child to make his own decisions or do I undermine his sense of competence by giving him information in ways he can’t grasp? In other words, do I lecture him or do I facilitate his thinking? • Do I let him make safe mistakes so he has the opportunity to right himself or do I try to protect him from every trip and fall? • If I have more than one child, do I recognize the competencies of each without comparison to siblings? True confidence, the solid belief in one’s own abilities, is rooted in competence. Children gain confidence by demonstrating their competence in real situations. Confidence is not warm-and-fuzzy self-esteem that supposedly results from telling kids they’re special or precious. Children who experience their own competence and know they are safe and protected develop a deep-seated security that promotes the confidence to face and cope with challenges. When parents support children in finding their own islands of competence and building on them, they prepare kids to gain enough confidence to try new ventures and trust their abilities to make sound choices. • Do I see the best in my child so that he can see the best in himself? • Do I clearly express that I expect the best qualities (not achievements, but personal qualities such as fairness, integrity, persistence, and kindness) in him? • Do I help him recognize what he has done right or well? • Do I treat him as an incapable child or as a youngster who is learning to navigate his world? • Do I catch him being good when he is generous, helpful, and kind or when he does something without being asked or cajoled? • Do I encourage him to strive just a little bit farther because I believe he can succeed? •W Do I hold realistically high expectations? • Do I unintentionally push him to take on more than he can realistically handle, causing him to stumble and lose confidence? • When I need to criticize or correct him, do I focus only on what he’s doing wrong or do I remind him that he is capable of doing well? • Do I avoid instilling shame in my child? Children with close ties to family, friends, school, and community are more likely to have a solid sense of security that produces strong values and prevents them from seeking destructive alternatives. Family is the central force in any child’s life, but connections to civic, educational, religious, and athletic groups can also increase a young person’s sense of belonging to a wider world and being safe within it. • Do we build a sense of physical safety and emotional security within our home? • Does my child know that I am absolutely crazy in love with him? • Do I understand that the challenges my child will put me through on his path towards independence are normal developmental phases or will I take them so personally that our relationship will be harmed? • Do I allow my child to have and express all types of emotions or do I suppress unpleasant feelings? • Is he learning that going to other people for emotional support during difficult times is productive or shameful? • Do we do everything to address conflict within our family and work to resolve problems rather than let them fester? • Do we have a television and entertainment center in almost every room or do we create a common space where our family shares time together? • Do I encourage my child to take pride in the various ethnic, religious, or cultural groups to which we belong? • Do I jealously guard my child from developing close relationships with others or do I foster healthy relationships that I know will reinforce my positive messages? • Do I protect my friends’ and neighbors’ children, just as I hope they will protect mine? Children need a fundamental sense of right and wrong to ensure they are prepared to make wise choices, contribute to the world, and become stable adults. Children with character enjoy a strong sense of self-worth and confidence. They are more comfortable sticking to their own values and demonstrating a caring attitude toward others. • Do I help my child understand how his behaviors affect other people in good and bad ways? • Am I helping my child recognize himself as a caring person? • Do I allow him to clarify his own values? • Do I allow him to consider right versus wrong and look beyond immediate satisfaction or selfish needs? • Do I value him so clearly that I model the importance of caring for others? • Do I demonstrate the importance of community? • Do I help him develop a sense of spirituality? • Am I careful to avoid racist, ethnic, or hateful statements or stereotypes? Am I clear how I regard these thoughts and statements whenever and wherever my child is exposed to them? • Do I express how I think of others’ needs when I make decisions or take actions? It is a powerful lesson when children realize that the world is a better place because they are in it. Children who understand the importance of personal contribution gain a sense of purpose that can motivate them. They will not only take actions and make choices that improve the world, but they will also enhance their own competence, character, and sense of connection. Teens who contribute to their communities will be surrounded by reinforcing thank yous instead of the low expectations and condemnation so many teens endure. • Do I communicate to my child (at appropriate age levels, of course) that many people in the world do not have as much human contact, money, freedom, and security as they need? • Do I teach the important value of serving others? • Do I model generosity with my time and money? • Do I make clear to my child that I believe he can improve the world? • Do I create opportunities for each child to contribute in some specific way? • Do I search my child’s circle for other adults who might serve as role models who contribute to their communities and the world? Do I use these adults as examples to encourage my child to be the best he can be? Children who learn to cope effectively with stress are better prepared to overcome life’s challenges. The best protection against unsafe, worrisome behaviors may be a wide repertoire of positive, adaptive coping strategies. • Do I help him understand the difference between a real crisis and something that just feels like an emergency? • Do I model positive coping strategies on a consistent basis? • Do I allow my child enough time to use imaginative play? Do I recognize that fantasy and play are childhood’s tools to solve problems? • Do I guide my child to develop positive, effective coping strategies? • Do I believe that telling him to “just stop” the negative behaviors will do any good? • Do I recognize that for many young people, risk behaviors are attempts to alleviate their stress and pain? • If my child participates in negative behaviors, do I condemn him for it? Do I recognize that I may only increase his sense of shame and therefore drive him toward more negativity? • Do I model problem-solving step by step or do I just react emotionally when I’m overwhelmed? • Do I model the response that sometimes the best thing to do is conserve energy and let go of the belief that I can tackle all problems? • Do I model the importance of caring for our bodies through exercise, good nutrition, and adequate sleep? Do I model relaxation techniques? • Do I encourage creative expression? • As I struggle to compose myself so I can make fair, wise decisions under pressure, do I model how I take control rather than respond impulsively or rashly to stressful situations? • Do I create a family environment in which talking, listening, and sharing is safe, comfortable, and productive? When children realize that they can control the outcomes of their decisions and actions, they’re more likely to know that they have the ability to do what it takes to bounce back. On the other hand, if parents make all the decisions, children are denied opportunities to learn control. A child who feels “everything always happens to me” tends to become passive, pessimistic, or even depressed. He sees control as external—whatever he does really doesn’t matter because he has no control of the outcome. But a resilient child knows that he has internal control. By his choices and actions, he determines the results. He knows that he can make a difference, which further promotes his competence and confidence. • Do I help my child understand that life’s events are not purely random and most things happen as a direct result of someone’s actions and choices? •On the other hand, do I help my child understand that he isn’t responsible for many of the bad circumstances in his life (such as parents’ separation or divorce)? • Do I help him think about the future, but take it one step at a time? • Do I help him recognize even his small successes so he can experience the knowledge that he can succeed? • Do I help him understand that no one can control all circumstances, but everyone can shift the odds by choosing positive or protective behaviors? • Do I understand that discipline is about teaching, not punishing or controlling? Do I use discipline as a means to help my child understand that his actions produce certain consequences? • Do I reward demonstrated responsibility with increased privileges? This entry was posted in Blog on July 13, 2014 by gritmoms. Summer weather has been taking its toll. If you live where I do, we have been melting in triple digit heat. That is why almost every house here has to have a pool. We spent nearly every waking hour in the pool last week which was fun but quite tiresome. The blazing weather isn’t letting up as it’s continuing this week. I have tried a few indoor games as the AC is cranking today just to break the monotony of never ending pool play. Some worked out really well and coincidentally promoted the characteristics of grit. I have shared some great grit inspired indoor activities in past blog posts like chess and building a card house. Those still work really well. But I looked up a few to try out and these are some favorites. This is a game combines speed and balance as well as precision. It requires4 or more players so parents can join in or siblings of all ages. The materials are simple: cardboard tubes, such as paper towel or wrapping paper tubes, scissors and a marble. To get started: Cut the cardboard tubes into equal-length troughs, one for each player (ours were approximately 1 foot long). Have players line up 2 to 3 feet apart. To play: The first person in line sets the marble on one end of his trough, then, without touching the marble, rolls it the length of her tube and into the next player’s (it’s okay if troughs touch). That player passes the marble to the next, and so on. As each player passes the marble, he moves to the end of the line, eventually catching the marble again and passing it on. If someone drops the marble, she’s out and the marble goes back to the beginning of the line. Whoever’s left is the winner. Our testers’ twist: For larger groups, divide the players into 2 teams. Give each team a marble and have them race to pass it around the group 3 times. If a team drops their marble, they must start all over again. This variation of the classic party game has a fun twist: competitors have to guess which items they’re supposed to find. It’s a great game that reinforces persistence and patience. The materials are simple. All you need are 5-10 objects that can easily be found in a room (bowl, brush, bottle, etc.). One player writes out a secret list of 5 to 10 objects that can easily be found in a room, such as a bowl, a brush, and a bottle. He then announces the number of objects he’s looking for, and the other family members have one minute to gather that same number of items. If anyone brings an object that’s on the list, she gets a point. And, of course, players have to put their items away before the next round. Try varying the game by limiting the objects to things that begin with the same letter or are a certain shape. This is a great building game that promotes creativity and teamwork. The materials you need are: 1 large ponytail holder, 12-inch lengths of string or yarn (one per player)and small cans or boxes. Another great game particularly for preschool aged kids involves whip cream and a container. Provide your child with a small container filled half way with whipping cream. Have them put the lid on and shake the container until it turns to butter. Reinforce that this is a task that takes some time to complete, but the outcome provides butter that they will be able to spread on bread to eat. For older kids this activity kept my son busy for awhile. I call it frozen coins. Give your child an ice cube with a penny frozen inside. The goal is to get the penny out of the ice cube without smashing it or putting it in their mouth. Try adding color to the water too for fun visual effect. This encourages kids to use creativity and discuss options with their peers to complete the task. There can be strategy involved as well as lots of laughter. Try these fun grit activities while you stay cool in front of a nice fan or in nicely air conditioned room. Happy Summer! This entry was posted in Blog on July 7, 2014 by gritmoms. We had a momentous occasion in our household last week. Our 11 year old child left to attend sleep away camp for a week. It was the longest I had ever been apart from my first born and it was painfully hard (for me of course, not for him). I was just barely getting use to him being gone for weekend campouts and regular sleepovers at his buddies’ houses. But he had been preparing for this camp trip for months. It was his Boy Scout camp week and he was thinking about all of the classes he wanted to take to earn certain merit badges. 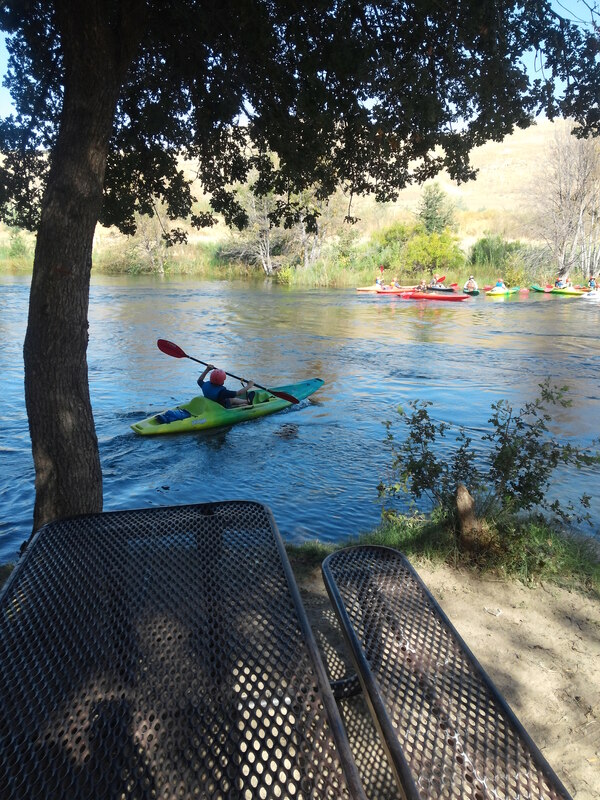 As the campout approached he shared with me that he would be taking a swim test at the campsite’s lake and going through a battery of swim activities he needed to pass in order to earn a merit badge for it. I thought, I wonder what he is going to have to do? So I asked him to share the requirements with me. After reviewing the achievements I grew somewhat uneasy. After reading the number of laps he’d have to do, how long he’d have to tread in the water and the other rather treacherous tasks, I wondered how he would do. When I picked him up from camp at the end of the week, I couldn’t help but notice that he looked like a young man (and super dirty). As he was telling me about his activities and the merit badges he earned he began to tell me about the swimming achievements. He told me that how on the first day; they got into the freezing lake water and tried his luck at the basic swim test. He told me he failed it. He could barely complete two laps. I said, “That’s ok. You can always try it again.” Then he proceeded to tell me that he did and was able to pass all of the requirements by the end of the week. Before he could tell me more, we were interrupted by a few of the adult leaders who wanted to tell me just how proud they were of my son during the week. I asked them why. They said that he really struggled in the beginning of the week with the swim requirements as did a few other boys. But then they told me that each day after that; during much of their free time; my son would ask the leaders if he could be supervised in the lake to practice so he could try the swim tests again. When one adult leader said he couldn’t supervise him at that time, he would ask another adult leader to supervise him. So each day, he managed to get his practice in and even pass a few of his swim requirements along the way. Towards the end of the week, he had to finish one last big requirement to earn his swim merit badge: to complete at least 8 laps across the length of the lake area nonstop. As he prepared for that, he practiced like he normally did but this time some of his scout buddies joined him to work with him and give him that support he needed. A grit attitude isn’t always about working to get the best grades in school. It’s about finding something you want to accomplish, striving to accomplish it and usually experiencing setbacks along the way. Whether it’s earning a scout merit badge or getting to the county finals for the spelling bee, grit moms must celebrate what matters to our children and celebrate their hard earned accomplishments when they achieve them. Finally, I didn’t want to make this blog just about my proud and braggy Grit Mom moment. I wanted to also end with some great information about how important it is make sure your children know how to swim. It is essential not only as a tool to teach grit but also for health and safety reasons (during the summer especially). Swimming produces a wide array of health and social benefits for kids of all ages. It provides children with a fun aquatic activity that also promotes good health and social development skills. It’s an aerobic form of exercise that also produces advantages for kids with disabilities. But as with any athletic activity, some risks do arise, especially with young children. Preventative measures help reduce these risks and allow swimming to be a safe, fun activity. Swimming provides a good source of exercise with minimal chances of bodily injuries common in other kids’ sports. Swimming offers a good source of aerobic exercise without placing added stress or impact on growing bones and joints. According to KidsFitnessCentral.com, swimming promotes good health, increases endurance and develops stamina. The long-term benefits of swimming, according to New-Fitness.com, include improving the cardiovascular system by allowing the heart to work less strenuously through more efficient ways using the body’s oxygen. Swimming helps children socially develop as they interact with kids their own age. In addition to the health benefits, swimming also taps into the social development of kids. Children swimming competitively or participating in swim clubs learn the importance of perseverance, sportsmanship, self-discipline and goal-setting. They develop relationships with teammates and learn the importance of responsibility and teamwork. In addition, it allows kids to socialize with their peers. Many children with a variety of disabilities benefit from swimming. It’s a non-contact sport that requires no equipment and helps children with disabilities exercise their muscles. 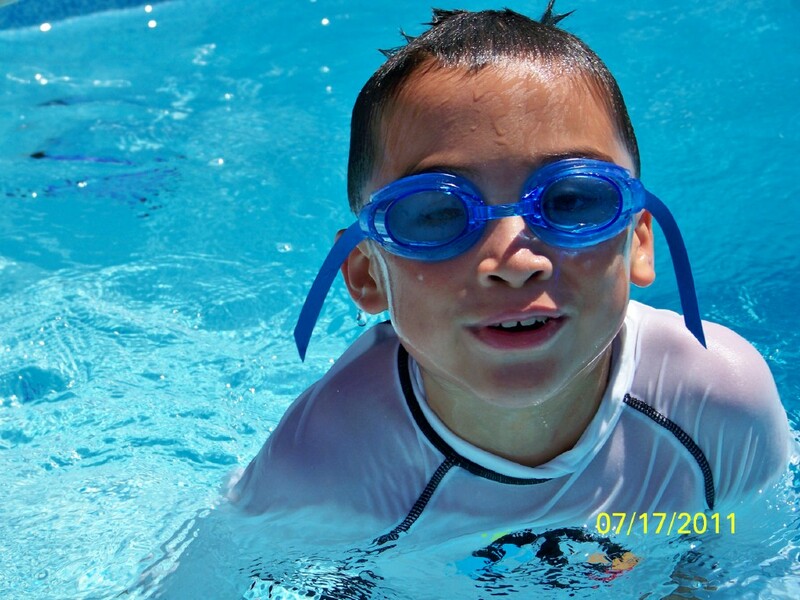 Swimming in particular can be extremely beneficial for kids with cerebral palsy. According to CerebralPalsySource.com, swim therapy provides relief from muscle stiffness, enhances muscle relaxation and builds muscle strength. In addition, swimming also helps kids with disabilities develop coordination, as it requires movement from just about every muscle in the body. Parent and child swimming classes help create a stronger bond among family. Taking swimming classes becomes one of the best ways for kids to learn how to swim. In addition, it also helps kids socialize with children their age. Learn-to-swim national organizations provide ample opportunities for kids of all ages to take lessons. For example, the American Red Cross presents authorized providers certified to teach parent and child aquatics or “Learn to Swim for All Ages,” a program catering to children five and under. In addition, according to USASwimming.org, YMCA facilities across the nation operate about 2,600 pools and offer lessons year-round. The YMCA offers youth progressive, infant-parent and preschool swimming classes. According to the Centers for Disease Control and Prevention, drowning is ranked as the second leading cause of unintentional deaths in kids ages 1 to 14. Parents and other adults caring for children must take precautionary measures. Never leave children unattended in a pool regardless of their swimming abilities, as drowning can happen quickly and adults may not hear a child’s cries for help. If boating, fishing or rafting on lakes or rivers, make sure kids always wear a life jacket. Construct a four-sided isolation fence around home pools to prevent preschoolers and toddlers from entering an unsupervised pool area. Children should always use the buddy system when swimming. Although swimming offers great health benefits, parents and children should be aware of the dangers as well. The CDC states that if kids swim in contaminated water found in public swimming pools, lakes, rivers or oceans, they can be exposed to recreational water illness (RWI). The most common systems of RWI include diarrhea, ear, respiratory, eye, neurologic and wound infections. RWI spreads by swallowing, breathing or coming into contact with contaminated water. According to the CDC, prevention includes swimming in clean, clear water, avoiding swallowing pool water, taking children on bathroom breaks often and refraining from swimming when you have diarrhea. This entry was posted in Blog on June 23, 2014 by gritmoms. Summer time means BBQ fun, swimming and lively conversation. That was the start of our lovely evening yesterday as we spent time with friends and their kids. We were talking about what we were going to do and put in place so that our kids would have plenty of fun things to do the next two months. We initially thought these fun activities (camps, trips to the park etc.) could start next week since the kids just got out of school a few days ago. But we didn’t realize their demands for fun and stimulation would begin literally the day after school got out. As we are trying to make the smooth transition to summer and find places for their full bags of school work and supplies (oh those pencils boxes), wouldn’t it be nice if the kids would just chill for a few days. I mean, they just finished school right? Then my friend said, “The kids have been done with school and on summer vacation for only two days, and I already feel like I’ve yelled at them more than I have all school year.” Boy did I feel the same. How much yelling will I do the next two months? Then I thought about a great article I read recently on grit as it relates to feedback and mindsets. In addition I participated in a helpful training with after school program professionals on a discipline strategy that focuses on positive behavior and interventions. Both talked about actions that adults can do that promote not only positive attitudes for your children but positive actions as well. I was even more excited to see common threads in both the research article and the training. In both, the focus was not so much on praising the skill or the result, but more the character trait that was exhibited by the child. Finally, both talked about the importance of giving detailed feedback to our children. We should be giving them more than, “Please stop doing that!” or “Good job!” Kids respond positively to interactions that are clear, appropriate and constructive. As a working mom, I am fortunate enough to have a flexible summer schedule in order for me to spend time with my kids. But that often involves having them accompany me on my work errands or even come to my office for a bit after they participate in their camps/activities with friends. The ideal is that they will go along with this whole plan without a complaint and without slowing down the process right? Our children’s schedules are very different in the summer and we have to remind ourselves of that. Letting them know the schedule for the day as you have breakfast in the morning or keeping a calendar or list up of the day’s activities helps. This way, your kids know what to expect that day. More importantly, this should be an interactive conversation where your children can give input and express their feelings. “After lunch, I will need to organize some items at my office. Then we can have a nice quick dessert treat afterwards. What are you in the mood for?” Too often, I would catch myself driving to one errand after another with my kids and not letting them know what was going on. Then I would lose patience and yell as they would constantly ask, “When are we going to be done already? I want to go home!” Communicating in way that kids feel heard can be challenging at times – especially when you just want to get things done. But investing time in some clear conversations with your child will get these things done more effectively and enjoyably in the long run. Remember that teaching grit is a lifelong process. It takes patience and time to build. My children respond best when I give them feedback that is timely, appropriate and clear. I remember yelling across the field to my child recently as he was acting inappropriately, “Hey, stop that now or we are going to leave!” All that did was embarrass my child and left him with no clear understanding of the appropriate behavior he was to be exhibiting. Born in Ecuador, George’s family moved to the Bronx when he was five. He began school at KIPP in the fifth grade, where a character-based education taught him about hard work, empathy, and the importance of being a good friend. Weekly leadership classes in middle school focused on character values including “grit,” “gratitude,” and “self-control.” “Instead of ‘George, you’re the line leader today,’ it was ‘George can you display leadership and take your class in a line?’” By labeling the behavior and naming the character strengths in context, these leadership classes taught him how to be a nice person, he says—and how to succeed in life.“My teachers didn’t say ‘George, please be quiet; it was ‘George, show more self-control,’” he says. The focus was more on constructive advice, things he could work on rather than criticizing the behavior and commanding him to act a certain way. In the training I attended for after school professionals, there was a goal made to engage in more positive interactions between the after school tutors and students. They went further to talk about how supervising students meant talking with students. Not just standing there and watching them from far away. One strategy that worked well at an after school site was the 5-1 approach. For every one negative verbal contact an after school tutor had with a student, he/she had to make five positive verbal contacts to that student before the program day was over. Staff soon realized how often they were using negative comments in the first place and how difficult at times it was to make up for it by coming up with five positive comments/interactions. But this practice not only helped staff members approach their student interactions in a more positive way, but it contributed to making an overall positive program climate. As staff members exhibited more positive communication/interaction with students, students exhibited more positive interaction with their peers. Eventually, this positive culture contributed to students’ attitudes towards school and their abilities to achieve personal goals. Keep positive and keep cool this summer! This entry was posted in Blog on June 9, 2014 by gritmoms.